Burger season is upon us, but that’s not the only way to enjoy meat. Forget the bun (occasionally) and try your protein wrapped in a delicious pastry. Beyond chicken pot pie and pigs-in-a-blanket, you can find the delicious protein of your choice wrapped in flaky dough, fried in a crisp cracker crust, or rolled, stuffed and spiced. Here are four shining examples of savory meat pastries available in the Boston area. But this is just a sampling of what’s out there, so comment on your meaty findings as well! 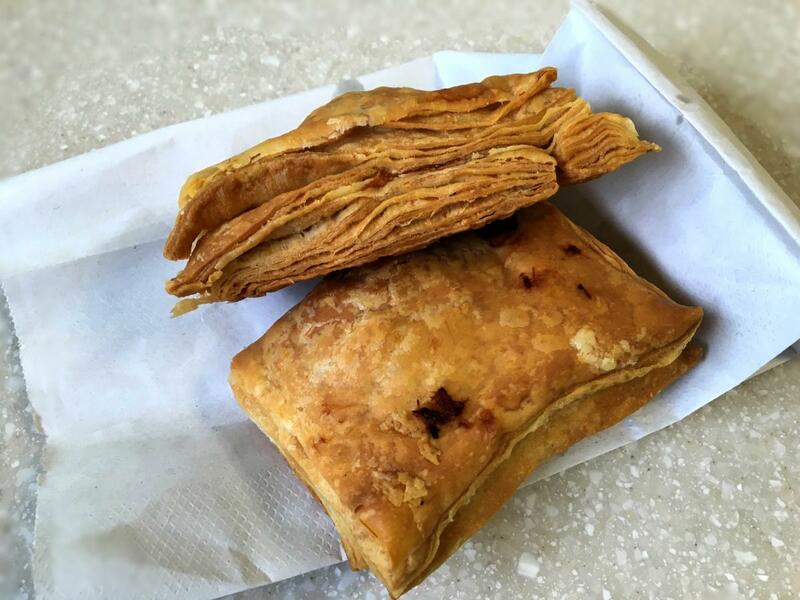 The roadside bakery Au Beurre Chaud, which means "warm butter" in French, offers a Haitian pastry with the perfect balance of flaky, buttery and savory; it’s called pâté (pronounced pah-TAY), and comes filled with chicken, beef or fish. My friend Shanna, who grew up eating pâté for breakfast, clued me in to this neighborhood favorite. Thirty minutes before closing time, customer after customer stops in to buy up the day’s supply. I order a few fish pâté (the other flavors are sold out!) and the man behind the counter slips them into a white paper bag. I don’t even make it halfway to my parked car before I start to dig in. The delicate dough of the crispy puff pastry flakes off at first bite; the layers make me think of a robust baklava. The inside is stuffed with warm shredded codfish and though the idea of fish as a filling may sound strange to the uninitiated, it works perfectly in this ensemble. Like Shanna, you, too, may want to start eating pâté for breakfast – getting out of bed will be oh so much easier. If you’re familiar with Spanish (or if you Wikepedia everything), you know that a lechonera is a Puerto Rican restaurant where you can get roasted pork. But on this visit to the unpretentious eatery that serves staples such as carne guisada and yucca frita, I'm after something simpler: empanadas. Comfy booths line the room, but since the restaurant is a popular takeout place, my fresh-from-the-sizzler treats are placed in a to-go container. 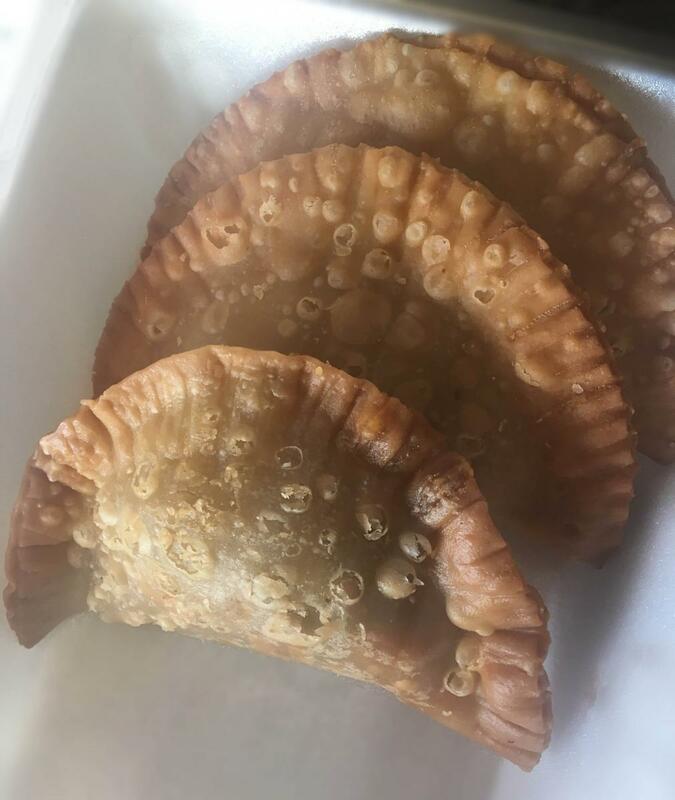 Called pastellilo in Puerto Rico, they are a semi-circle of fried crust with a crimped edge surrounding your choice of beef, chicken or queso. I order the two meat options, of course. The crust is thin and crispy, the ground beef mouth-wateringly juicy, and the stewed, shredded chicken has hints of green and red peppers and onion. If you do choose to dine in, consider taking a few home or risk pining for seconds while staring at your food photos. A meat pastry paradise, Dumpling Daughter is a family tradition kept alive. Of course, there are the dumplings, ranging from the sweet petit chicken dumplings with slow cooked Sichuan sauce (I want to dip everything in that sauce!) to the fresh and aromatic steamed pork and chive dumplings, one of "daughter"Nicole Liu’s favorites. Still, many customers go for the pan seared pork and napa cabbage. 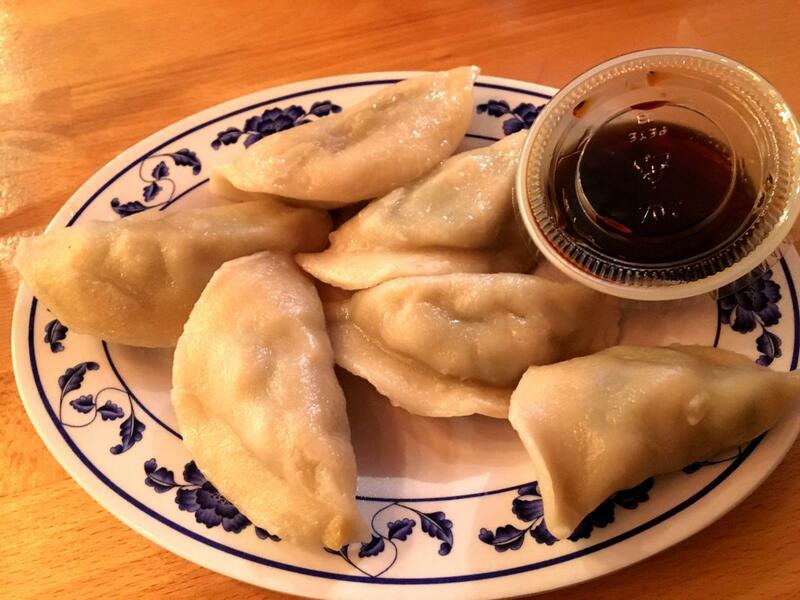 "A lot of people order the pan seared [dumplings] because, in their minds, that’s their idea of what they think of as a ‘pot sticker,'" Liu explains, as she bounces around the restaurant making sure all the customers are happy. "I think the steamed dumplings have equal praise." Liu’s sister, Nadia Liu Spellman, started the restaurant a year and a half ago to cook her favorite family recipes, and Liu joined her last year. Their parents, former Boston restaurateurs Sally Ling and Edward Nan Liu, owned the famous Sally Ling restaurant. The order-at-the-counter system doesn’t suggest the fast food feel you may expect. In fact, the casual atmosphere and minimalist red-and-tan décor let the food take the center of attention. So try a few dumplings, but don't pass up on the buns! The Taiwanese organic chicken cutlet houses a crispy, succulent piece of lightly battered and fried chicken punctuated by sweet bits of picked radish. The traditional bbq pork bun is everything you want in a simple bun – its casing is soft and fluffy while the filling is sweet, subtle and tender. "Comparing the Taiwanese buns to the traditional steamed buns, they have a little more balanced ratio between the protein and the bread," says Liu. "But I like the traditional bun for its fluffiness. Bread consistency is an essential element to the bun and a difficult skill to master." Come here to float away on a cloud of fluffy pastry, and a comfortable atmosphere that won't disturb your daydream. Shanti features an intimate dining room with a sculpted face of Buddha who watches over all. There are many items on the menu that deliver in flavor, portion size and authenticity, including my personal favorite, malai kofta, a vegetarian meal of croquets with paneer and a cream sauce. But before ordering a full dinner, something to whet the appetite is in order. 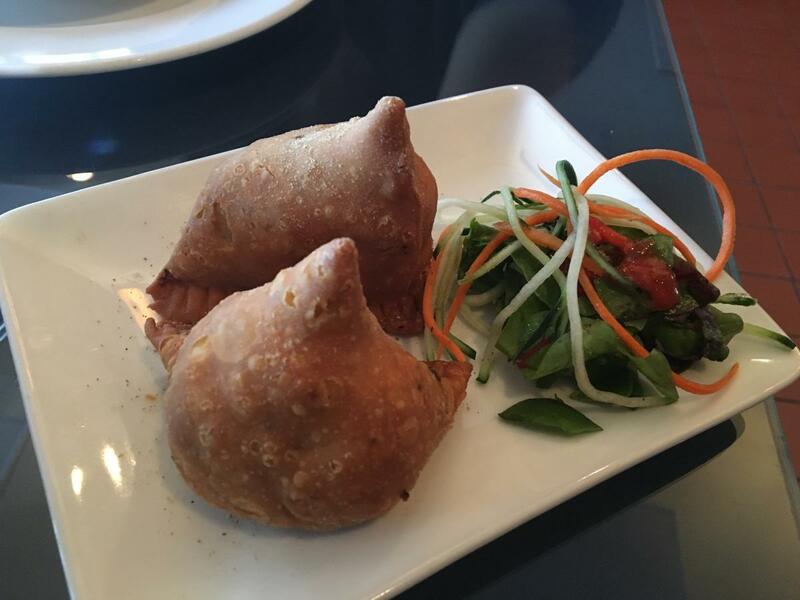 It’s not long before a pair of meat samosas arrive on a simple white dish garnished with shredded carrots and cucumber. They are semi-cylindrical and ballooned out in the middle. The lightly salted pastry is bubbled, but not greasy from the fryer. The ground lamb filling, dotted with potatoes and peas, is like a spiced Shepherd's pie – Shanti flavors the meat with ground cilantro, cumin and chilies. Beware: once initiated, you may be putting Indian spices on all of your meat.